An elegant, simple, dark themed keyset in Signature Plastics SA profile. I hope you like it! Firstly Id like to say thank you to everybody who was interested in this set as it stands. Ive had quite a few orders, just about 70 kits so far, and thats awesome so many of you wanted to get involved. But I also must say sorry to all of you who put in your orders. Due to the pretty large backlash from the community im putting this buy on hold. I will be working with Harlw and LivingSpeedBump to further refine this set and the groupbuy process to hopefully have this set be better liked and accepted by the community here. All orders as of now will be canceled and the order form is being shut down. In fairness to everybody involved in this, ill be moving back to my Interest Check thread to continue developing this set. Thanks again everyone who lended a hand and put in orders. Im hoping to get some updates out right away. There are instructions inside the order form on how to fill out the form. However if you have any additional questions please ask them here. The moment this post is up the buy will be considered live and orders will open. Orders will close January 8th. Invoices will be due one week after the orders close on the 15th. Any person looking to order from outside the US please contact me via PM. International shipping will be handled on a case to case basis through DHL. There is a 50 Minimum Order Quantity for the Alphas and Mods kits. Under 50 orders for either kit BOTH kits will not run. A lot of people have been asking for clarity as to how my business plan is going to work and what have I actually planned for in terms of buyer safety. For everybody's information I thought it would be best to write it all out here. I originally wanted to run this buy all by myself though my home on the South Shore. In my interest check thread though a lot of people discouraged me from doing that. A lot of people suggested using PMK or Massdrop as an alternative not only for my sanity but also buyer protection and sales. I reached out to both Massdrop and PMK about doing just that, having this buy run through their respective sites, months ago now. I unfortunately haven't heard anything back form Massdrop and my keyset still hasent made it out of the "Voting" phase that PMK's staff uses. Due to no retailers expressing any interest I decided to plan this all out as a one man show. Im still interested in getting a retailer involved or even running a smaller groupbuy by myself to gain a little traction around here. My plan for running this by myself isnt too complicated at all. My biggest fear with this was running out of money when problems arose. A problem I found after a little digging is a common one. I ended up sitting down with my father, who's a financial professional, about this. He advised me to look over my margins and make sure I have a large enough safety net for even the worst outcome possible. The way I built in protection for these problems was by building in fees to each pricing tier. Each pricing tier value was rounded down to an even number (no change) then 4$ was added into each one. Shipping costs were also rounded up to the next dollar as another small additional charge. With and at a 50 Minimum Order value, that leaves me with about ~400$ minimum to play with. That 400$ is going to be used to purchase a few extra sets, cover return shipping costs, and pay anybody who wanted to get involved with the shipping process. At this point if there were to be any money left over after paying out all of those things there is to be a 3 week period before I pay myself for my time. Signature Plastics is looking at accepting new orders for March, and with an estimated 1-2 month manufacturing time, shipping could be estimated to be complete come April-May. On the word of buyer saftey and protection all I personally have to offer is a few confirmed trades over MechMarket and a positive eBay seller reputation. In my interest check I have openly asked the community for help. Specifically high-post count or longtime GeekHack members getting directly involved with the shipping and invoicing process. Ive also offered to pay those interested for their time. Unfortunately no-one has come forward expressing interest wanting to get involved with the exception of Trenzafeeds. If anybody would still like to get involved you are more than welcome to. Or if you have any avenues where I could run this set such as PMK or Massdrop im more than willing to hear you out. Again, im not looking to step on anybody's toes or steal from anybody. Im just hoping to ship out a keyset that makes people happy and to get involved with the community. Your order will have three components to it. There will be a charge for each kit you order, a charge for your associated shipping and a 4% total value charge for PayPal. Keys will be fully sculptured. The caps are set to be made out of Doubleshot ABS plastic. This set will run with the new row 4 shift molds Oobly recently announced. The set will be a true fully sculptured SA set. Thanks everybody for sticking around this long. I hope you all like the set. Checkout the Interest Check thread! will there be a 1.75u shift key? FYI, this is basically inverted Calm Depths. The subject of "owning" colorways is a very grey area, but did you consider reaching out to either Calm himself or Bunny et al regarding this? Not saying you have to, since again it's unclear where the line should be drawn, just curious if you have. Edit: It did just occur to me that this is already in the GB phase, so perhaps this has already been discussed in the IC phase. Have you ever run a Group Buy before? Why should I trust you with my money? I'm sure it was discussed but all three colors are different, the light blue and gray are a shade or so different but the dark blue here has some green in it so it's quite different. I'm all for not stepping on toes but they really aren't that similar. They look hideous together. Noob. What would I need for a white fox true fox layout? Absolutely love this color way. Finding money right now! I did contact the owner of Calm Depths about running a round 2 of his exact set quite a few months back. I have heard nothing back from him since. However I still liked the blue and grey colors enough to want to design my own set based around a blue/grey scheme. What came of that design process is this set. I did my best to differentiate from Calm Depths without taking away from what i wanted to accomplish. I have messaged Moderator Hoffman about holding or taking down this thread if people feel this is all to close to Calm Depths. Depending on the viability going forward and the success of the WhiteFox, getting some requirements up for what we need to buy to cover the layouts would equally be awesome. If you haven't managed to get in touch with Calm already, it likely won't happen - he's been out of keyboards since before Calm Depths shipped. Bunny and CtrlAlt were the last people to touch this set in terms of getting it delivered to people, so maybe they would be the people to approve? I honestly don't know. I also want to be clear that I'm not necessarily saying you shouldn't run the set or that I think it's too close to Calm Depths, I just wanted to start the discussion. I do not know how many shades away from a color you must go to be "sufficiently different" in the community's eyes, and I don't know that anyone does. And on that note, I am sorry for derailing your GB thread. 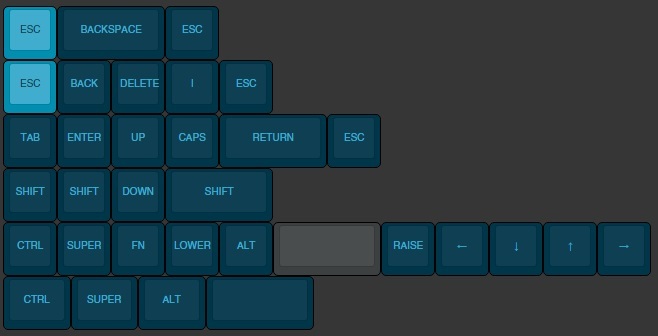 Since Hoffmann started the discussion, I'd like to say that I'm completely against this keyset and that I personally do not agree with it happening. How the hell is this keyset unique, original and interesting to the point that you want to call it "yours"? The worst part is that you didn't create absolutely anything. You merely assembled and organized 3 different tones of plastic and decided to run a group buy. 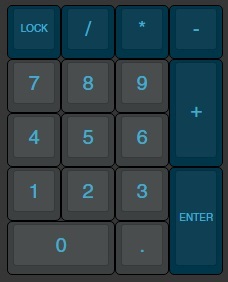 What you displayed here is not even a keyset, it's just a dark blue mockup of keycaps in a keyboard. 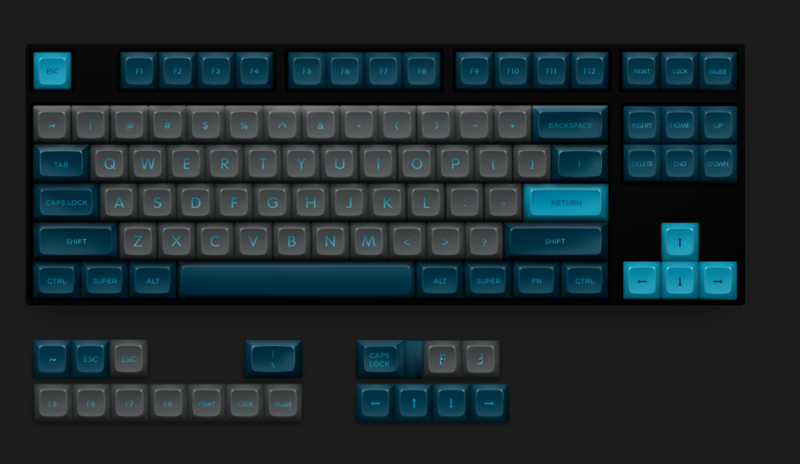 This set doesn't have a theme, it's not original (it's a direct replication of Calm Depths with an accent of PuLSE) and doesn't have novelties. You splitted alphas and mods without any practical reason and you didn't even contacted people that made similar stuff to ask their opinions about your idea. You will not use rMK's mold from PuLSE, Modern Selectric and Carbon for this, and I also don't trust you a single bit to handle orders for both of the communities that I'm a member from. You have absolutely zero reputation in both of the places. 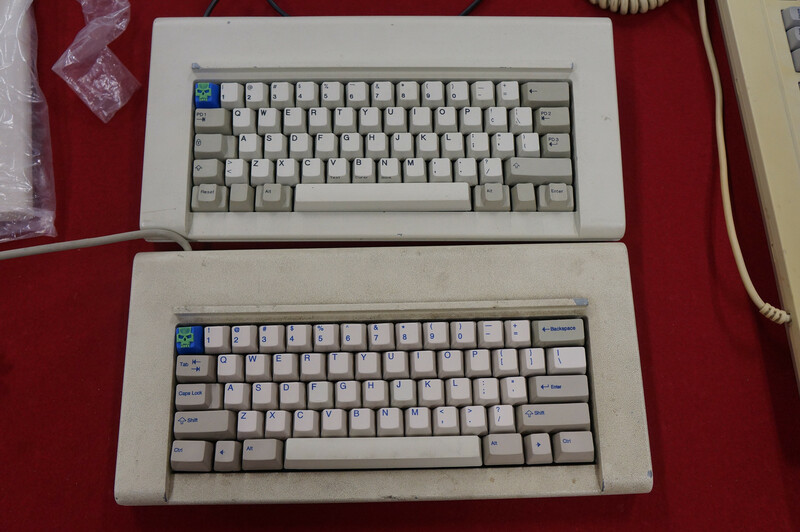 The killiking blow for me is that you are essentially replicating two keysets that will never be produced again for the sake of making money; by taking a margin. You're charging our people for assembling and distributing something that's not even your craft. I'm sorry to say but you don't even displayed talent to convince us that such iniciative could be even acceptable. I'm not a very relevant member but I will not support this Group Buy nor OP's Interest Check. am i missing where pricing is? Okay, we can certainly have a discussion about this, but there's no need for the mud-slinging and vitriol, MiTo. Civil discourse, people. Play nice. "Pricing Tiers" section near top of post, I passed over it the first time as well. It's still a valid question though. How do we know what tier we're at? I was a little curious about this as well. We've just had quite a few burns lately, even with more trusted vendors, so I do see the community being a little more cautious as of late. Seeing a very broken down game plan/time frame could help. You could also try to bring in some extra help as well with a more known member or something. to be fair Mito i posted that reply about the keyset in its earliest stages when the modifiers were a deep green and the grey alphas were a much lighter grey. You're right I'm not the one working at an injection molding machine and making these molds at a mill. But i worked hard on these designs and I really do care about them, so in my eyes yes I really am creating something. I dont like novelty type keys really. In fact read the basic description of the keyset, its labeled very specifically as simple. I thought and still think adding any sort of extra artwork beyond the basic stuff in the Color Kit would be changing the idea behind this keyset. As I explained above I really like the blue grey color scheme. Theres not too many ways to really go about using both dark blue and grey within the Signature Plastics ABS color pallet without coming close to something that's already been done. I did my best to differentiate but unfortunately there's only so much I really wanted to do before the look of the set isn't what I wanted it to be. Im sorry you dont like it but im really not trying to rip anybody off here. Yes im taking a commission, percentage, whatever you want to call it. Most groupbuy owners do as far as I understand. Its a lot of work running one of these things, and I intend on paying myself for the work I have done in a fair way. I After all the fees, taxes, shipping, returns and whatever else might come up, i expect to make about 100-200$ BEFORE I pay Harlw for his art services. As far as reputation goes I have a small eBay seller reputation and a few successful trades over MechMarket. However I do have to say, If i really wanted to steal from people this wouldnt be the way I would do it. Id just be a banker or wallstreet guy for that. Im not trying to step on anybody's toes here. Sorry if you mistook that. Unfortunately, unless more child deals are added, this set isn't truly compatible. You'd need a 1.5 backspace, a 1.75 shift, and a 1 unit backslash. Just ignore MiTo - he likes to show up and sling mud for no reason and always ignores and twists valid responses to non-valid points. I don't know why his drivel is tolerated by the mods. Thanks Harlw for the mockup showing the differences. To me that highlights really well that they are 2 different sets with a similar aesthetic. Nobody owns the idea of blue and grey. Isn't he supposed to be gone from geekhack, per his own admission? Jesus Christ, it's as if he think he came up with the idea of cyan on black. Guess what dude, that colorway really isn't that revolutionary. Tron came out in 1982. As per Mito's continued arrogance towards your "designer" skills, every time I look at his novelties I can't help but cringe. He have no sense of scale or proportion. On top of that, his icon designs are tired and just poorly conceived. For the guy running the group buy, please try and ignore this clown. Seems like any time he sees something he doesn't like he starts to claim some sort of intellectual property protection. Good riddance, Mito. Stop embarrassing yourself. I don't know why his drivel is tolerated by the mods. He was heavily moderated last time he blew up, and he then vowed to leave and never return. Lately he's been back but civil. This is the first time he's been rude/out of line since his return. But that's the last we'll talk of that in this thread. If you want to discuss more, feel free to PM me or create a new thread. DSA Sci-Fi and Carbon have multiple novelties and custom keycaps and yet they are very elegant. It all depends on what the user wants. I'm directly challenging your designer eye here because I, and many others can create literally hundreds of blue and black combinations while still being elegant, minimalist, clean and adequate to a theme. Using similar tones is not an excuse. Your idea is extremely similar to Calm Depths inverted. If you want to receive hundreds of pieces of plastic in your house and forward them, for the sake of the labor activity (because it could be fun), I don't know... You shouldn't use people's wallets for that. Go make a normal GB, or a case, or cables. An unique set. I don't know, it's your problem not mine. I am not sure why you believe keysets must be artwork consisting of novelties. It seems totally fine to create a set without novelties. No combination of 2-3 colors seems genuinely 'unique' to me, so I dont feel like having similar combinations of colors is a big deal at all (and the fact that they are inverted is a large difference you seem to gloss over as if it is nothing at all). I don't believe that sets must be artwork consisting of novelties. Penumbra and Calm Depth didn't feature novelties and their creators presented something extraordinary, beautiful and original. Not a general colorscheme, let alone a colorscheme presented before. Because I already wasted too much of my time in this discussion, this was my last reply in this thread. The mock-up and the kits show different fonts. Which font will be used in the actual product? I also don't trust you a single bit to handle orders for both of the communities that I'm a member from. You have absolutely zero reputation in both of the places. He might have zero reputation in here, but that's still better than the reputation you're carrying over here. You part of the community? Do I need to remind you your farewell post? Or you reappearance to sell your cs:go keyset ? You're more than welcome to come back around and participate, but don't pretend to represent this community.
" I hope that when the world comes to an end, I can breathe a sigh of relief, because there will be so much to look forward to. " After taking a close look at it in preparation to join i noticed a few things that prevented me from doing so . Having "\ |" as an Alpha Color is basically standard and sadly not supported, and a uniform F row just looks slightly odd to me. I do think having a few more developed options via child deals could really help. Regardless, glws! Just saw the child deal for the F row! Very good. The "\ |" key is sadly still a deal breaker for me. Well, sounds like first Group Buy and little experience. That is actually a mistake! 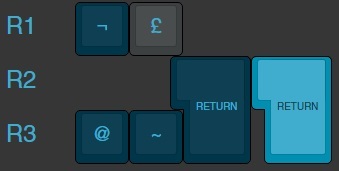 The "\|" Key is supposed to be an alpha colored key as well as a modifier colored key, see below in Harlw's render. The second blue "\|" key is actually supposed to be alpha colored. Thanks for the heads up, i totally missed that. Trying to make this hard on me huh? haha. Good to know though! Yeah in the render I thought the second key was just to add the dual symbol, as it showed "\ |" while the key on the board just shows "|"
Love this set! If only it had a 1.75u shift for WhiteFox Aria. so what is the current set order tier status? any information on this? I've also been keeping an eye on this set since the IC. I'm very interested in the color scheme, and I had vowed to myself to jump on it the moment it became available. However, I will echo what others have asked here: why should we trust you with the group buy? It's not just a matter of "will this guy run off with our money? ", it's also "is this guy prepared for all the crap that can go wring with a GB?" As you can see from my profile, I'm fairly new to the community, but I've lurked long enough to know that issues can and do arise. Other GB managers can probably give you more accurate information, but have you thought about what happens if issues do pop up? Manufacturing errors, shipping problems, delays, refund requests, unexpected costs, etc? Can you please explain why you didn't want to go through PMK or Massdrop (or any other established GB purchasing medium)? If it's a question of getting your "cut", from my understanding, PMK was redesigned to include that option. I think that at the very least a lot of people would be more willing to jump on this deal if it was through a "trusted" third party (Massdrop, PMK, etc). Or, if you have a good reason why you don't want to use them, I think people would be more comfortable if you at least explained why you won't. Either way, as I initially stated, I really like the keyset. I hope to see it do well, and for everyone to get what they want. Good luck. Yes, there's a very specific reason. I have always loved creating something. While i may not be the one cutting the keys, injecting the plastic, or making the dyes, the sense of accomplishment and reward of loving something enough to bring it to reality is my drug of choice. In fact i'm making a career out of it as an industrial designer. Sure I could do it the easy way, but wheres the soul? 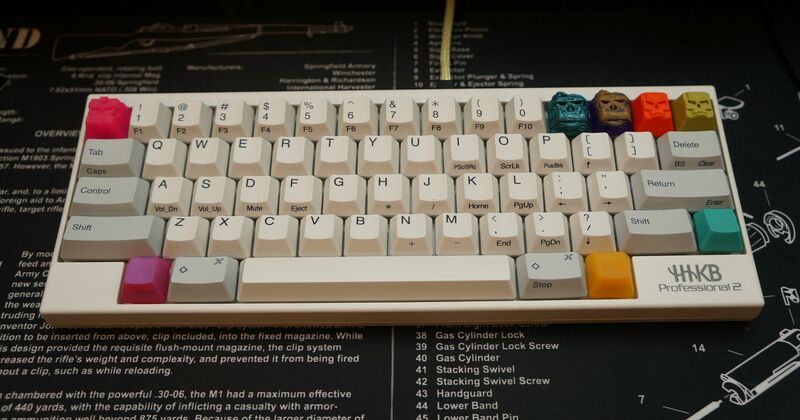 When this things all said and done, ill be able to call this keyset mine. That's why I'm choosing to do it the hard way, and thats why im doing this project as a break even affair. Personally, I don't see how doing the logistics of the sale part makes it any more "his" than being the actual designer (which he is). If he was actually doing the plastic injection molding himself, I could understand wanting to do the ENTIRE process himself. I mean, all that's happening now is that he's taking the money, sending the money to SP, receiving the order, and then having to send the order out himself. From my understanding, this used to be the norm only because there weren't any other options in place. Now, between Massdrop and PMK, there are options that not only protect the consumer, but protect the creator as well. Again, just my opinion. As I already stated, I don't feel like he's going to just run off with our money. But, what happens if issues come up? So much could go wrong: manufacturing errors, shipping errors, unforeseen costs, payment errors, and so on. Hell, what happens if he's hit by a bus (it's always a bus in these scenarios, for some reason)? Where does that leave everyone that's already sent in money? I just really feel that the risk of any problems that could occur outweigh the benefits - none of which actually benefit the consumer. Sorry, I don't mean to rain on your parade, but I really think you should rethink the GB format. I'd like to see this set do well, and I just don't think it will, if sold like this. Am I reading the pricing right? The modifier kit is almost $300 if there are fewer than 25 orders? Is there a way to tell the current tier for each set? It's a very nice kit for sure, but I have to think about my other expenses (again I'm assuming the pricing is in USD). Frankly, theres no reason to list such crazy low production tiers. Hippo, you should really start the tiers at a reasonable value, so people can actually enter the GB without having to drop out if others don't buy in. Page created in 0.139 seconds with 71 queries.